Today’s Friday Foodie is a personal favorite of mine. Cynthia of What A Girl Eats has a voracious appetite for travel and food. 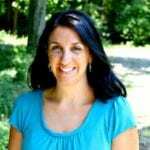 She has had many career paths with and without food and currently teaches, leaving summer breaks for exploration! 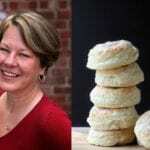 Her recipes span the globe from African peanut stews to Scottish treats and Southern favorites. No matter Cynthia is serving up, I know it is going to be good! My mom is a great cook and always threw great dinner parties when we were growing up. I remember watching Julia Child and Graham Kerr, (the Galloping Gourmet). When I was in college, I bought a French cookbook of classic recipes and cooked my way through it. I graduated with an English degree, which was pretty useless. My mom suggested that I pursue my passion and go to cooking school. I went to the California Culinary Academy, (now Le Cordon Bleu) in San Francisco and completed their 18 month Master Chef program. I moved to London after cooking school and lived in a pub, worked in a restaurant, wine bar, and a catering company. My husband and I saved up for 7 months while we were engaged and bought 2 round the world airline tickets for our honeymoon. We spent 3 1/2 months traveling around the world. I got out of cooking because of the horrible hours; think Christmas Eve, Mother’s Day, weekends! I decided to become a teacher for the hours…summers off, short days. I thought it would be the perfect job for raising kids. 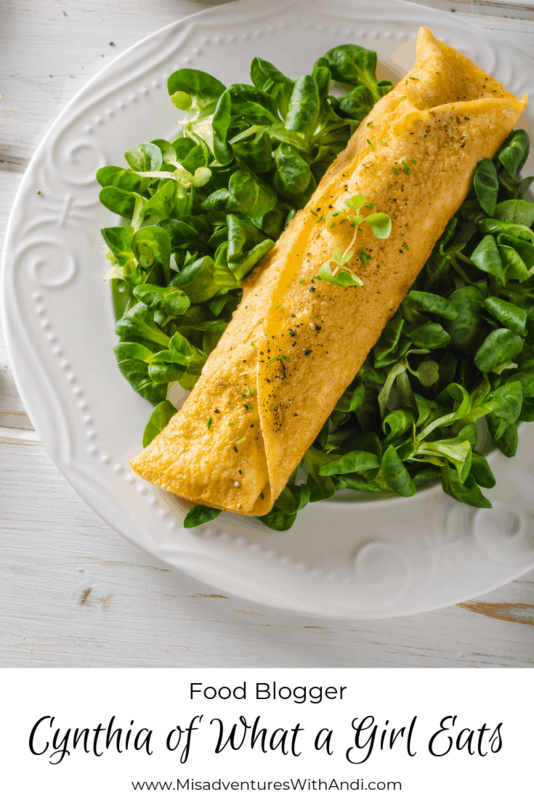 When I turned 50, I realized that food was still my passion and I really missed it! I thought a blog would be the perfect way to channel my love of food and writing. Because I’ve traveled all over the world, dinner at our house can be Thai one night followed by Indian, Italian or Mexican. (Hence my tagline; “Healthy Food With A Global Spin”). But I’m a pretty stellar soup maker! I’m pretty partial to Indian food. India is one of my favorite counties, and the food there is phenomenal. We love sushi in our house, and that’s everyone’s favorite birthday meal. SOUP! My husband calls me the “soup nazi”. I could make a soup out of anything! 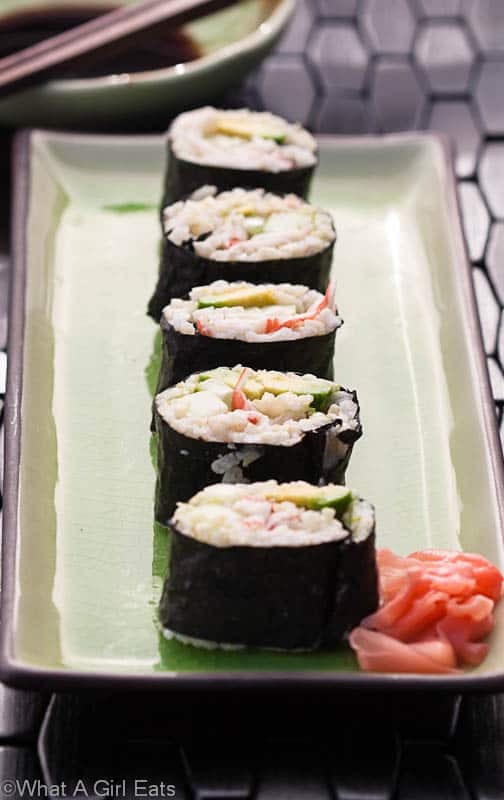 Lox and bagels with the works for breakfast, sushi for lunch…crab or lobster for dinner and great wine to compliment it! My friend Christina, from Christina’s Cucina is Scottish and Italian and cooks both cuisines really well. She does everything top-quality and doesn’t compromise her beliefs. I like The View From The Great Island. I haven’t met Sue yet, although she lives in So. California. She has lovely recipes and beautiful photos. Don’t worry about numbers, quality of followers is more important than quantity! Focus on what you believe in and don’t compromise your integrity. Keep up with Cynthia’s tasty tidbits on Twitter, Facebook, Instagram, and Pinterest and of course by visiting What a Girl Eats. How about you? What would you like to ask Cynthia? I’d like to ask her to come over and cook at my house! Yummy stuff! How fun! I loved getting to know about What A Girl Eats! Combo of food and travel hits my sweet spot too! Thanks! Such beautiful food. My problem is living with a house of non-adventurous eaters. I hope to be cooking more — for me. I’m glad to read that she was able to return to her passion at midlife. Woo hoo! Now I want to go make some soup. Thanks for the links, too. You had me from soup. Now I gotta put down my snack food and go make something delicious. I hate being inspired. 😉 Good job! Oh my I love the Galloping Gourmet! I totally forgot about how awesome his show was! That soup looks amazing. I have her site open and bookmarked. I can’t wait to start pinning. She will see a lot of pins from me! WOW! How awesome is it to be able to travel & cook from each place! It sounds like her and I have very similar tastes- it can totally be Thai over here one night, Mexican the next. etc. Love her advice to new bloggers as well. I became more of a foodie when I had more time on my hands. I love to cook and would think it an opportunity of a lifetime to combine cooking and traveling. Oh I wish I could make soup out of anything! I love learning about other bloggers. Thanks! Cynthia has a great blog with beautiful pictures and outstanding recipes. I wish I had some of her soup right now! Wow, it must have been amazing to go around the world like that! What a cool experience – love your food ideas! I love her style of food. MY husband love Thai food but he also love Filipino foods which I always make. Great interview, I enjoyed reading it. Cooking your way through a book of classic recipes – what a great idea, and much more constructive than anything I did in my free time at college! I love soup too, but no one in my family likes it nearly as much as I do so it isn’t served enough! 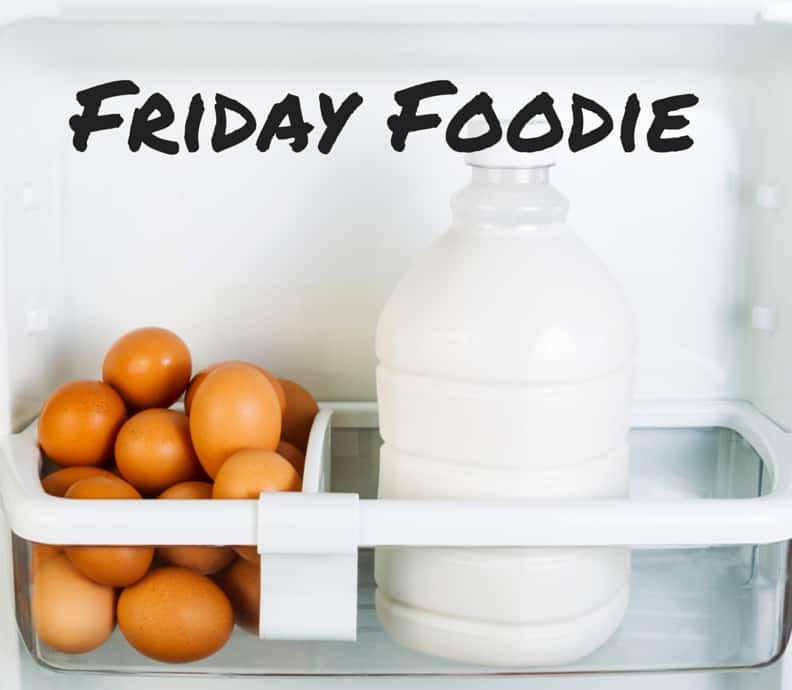 I feel so honored to have been chosen as your Friday Foodie! Thanks so much! I absolutely love reading interview posts because they are so personal. I like to consider myself a “foodie” and I love learning about others’ amazing food adventures. Great interview! I just love her blog! Cynthia’s soup does look good, so do her sushis. I agree with her on comfort food (soup) and favorite food (homecooked). Sometimes, when I am abroad for weeks, no matter how I enjoy the local food there comes a point on the trip that i just want to eat my own country’s food. Ironically when I am home in Manila and I eat out, I almost always choose Japanese food. That honeymoon must have been so wonderful! How exciting…I loved hearing about all the amazing things you have done, seen and cooked! It is funny how over time our priorities change and time becomes more important and that makes a job change worth it! Oh I love finding awesome recipes from other people’s blogs. That sushi looks so good! Those pictures are making me drool! Yummy food, and great interview! What a great blogger! 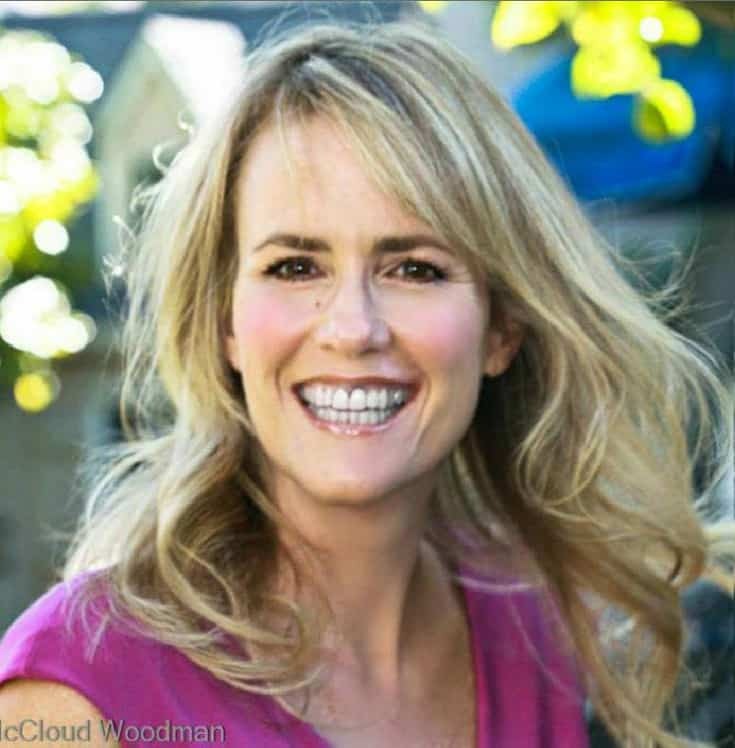 Thank you for sharing Cynthia’s “story”! I’ll have to check out her blog! 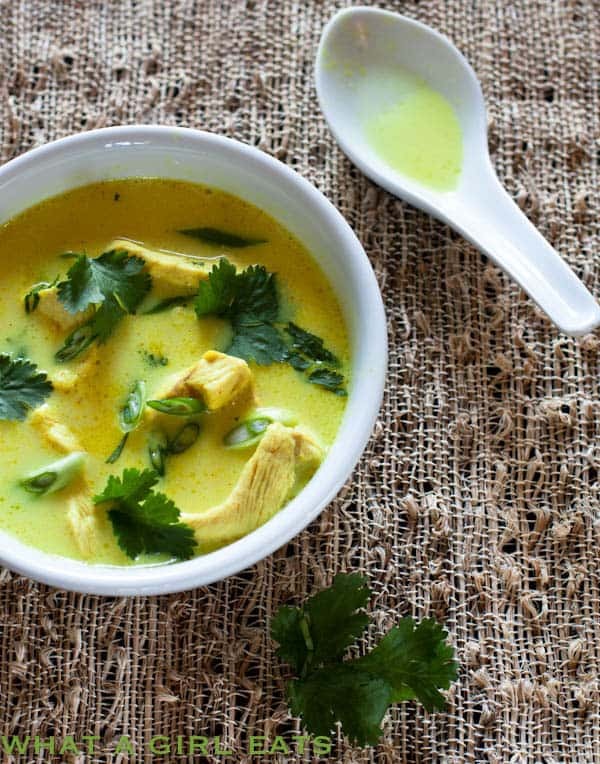 I love that her favorite food is Indian– I could eat that all day! These photo’s are amazing, what great experiences. The food looks mouth watering! She sounds like an amazing cook. 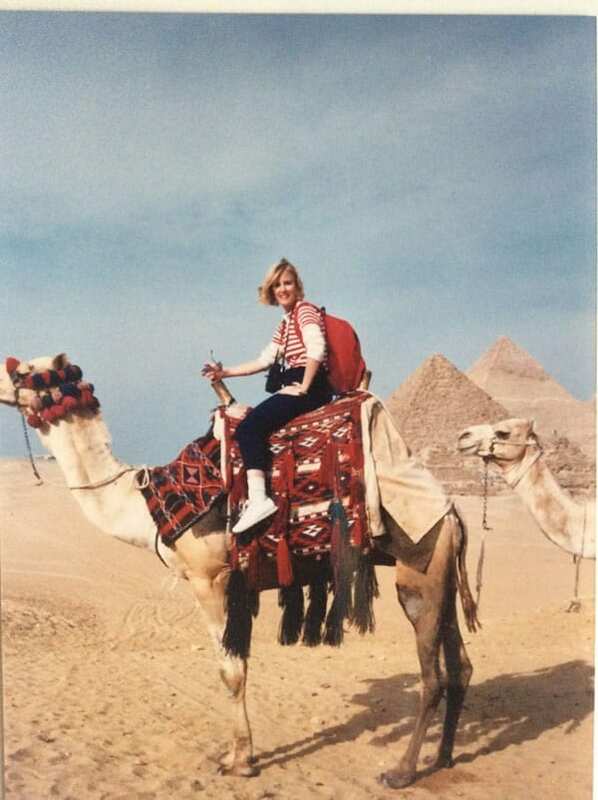 And how awesome that she got to ride a camel! I love those foods in your photos and your pictures looks really nice. I love learning more about other food bloggers! Sounds like she is an amazing cook and a great traveler! I love foods, and I had a great time to read this post. Wow! 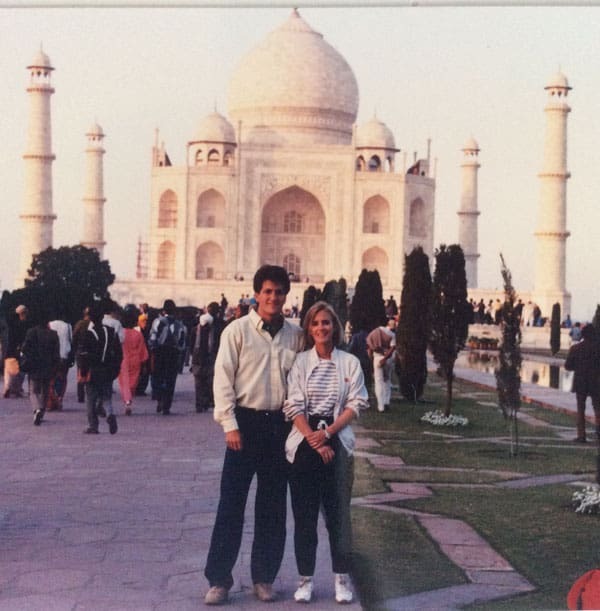 An around the world honeymoon! How awesome!! Thanks for the introduction, her tastes sound impeccable so I’ll definitely be checking her out:-). Wow, it only took her seven months to save up enough money to do a 3.5 month trip around the world?! Color me impressed! What a cool lady. 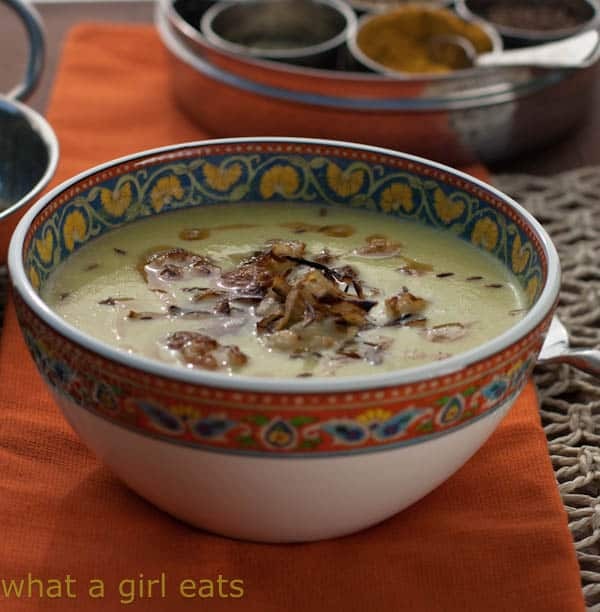 What a girl eats is one of my favorites! 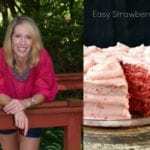 I love her pictures and her recipes are delish! it is awesome that even though you became a teacher you always kept in touch with cooking and made it a passion.